Published fifty years after the discovery of the double helix of DNA, Nature via Nurture chronicles a revolution in our understanding of genes. Ridley recounts the hundred years' war between the partisans of nature and nurture to explain how this paradoxical creature, the human being, can be simultaneously free-willed and motivated by instinct and culture. 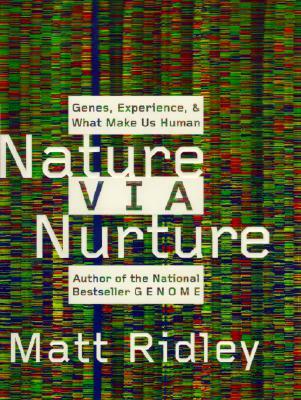 Nature via Nurture is an enthralling, up-to-the-minute account of how genes build brains to absorb experience.